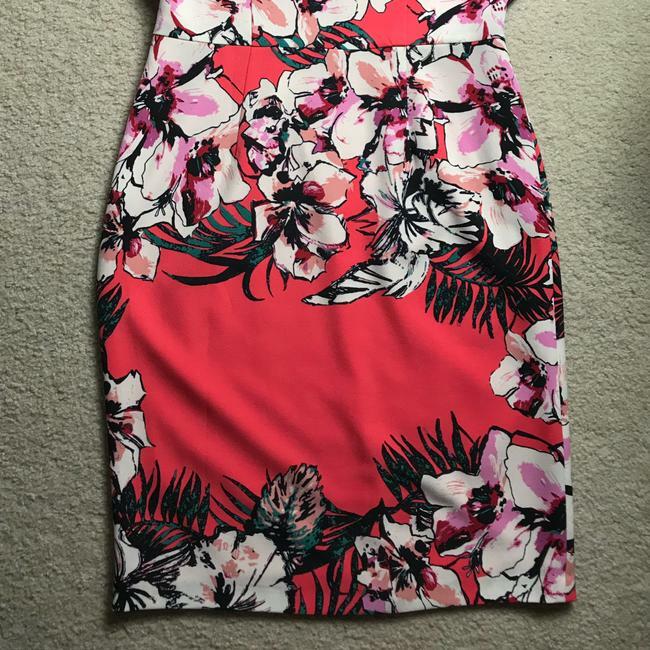 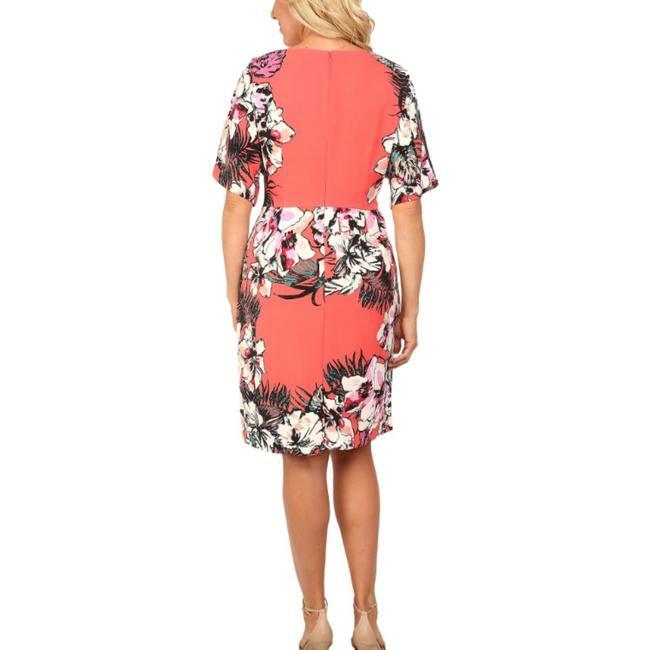 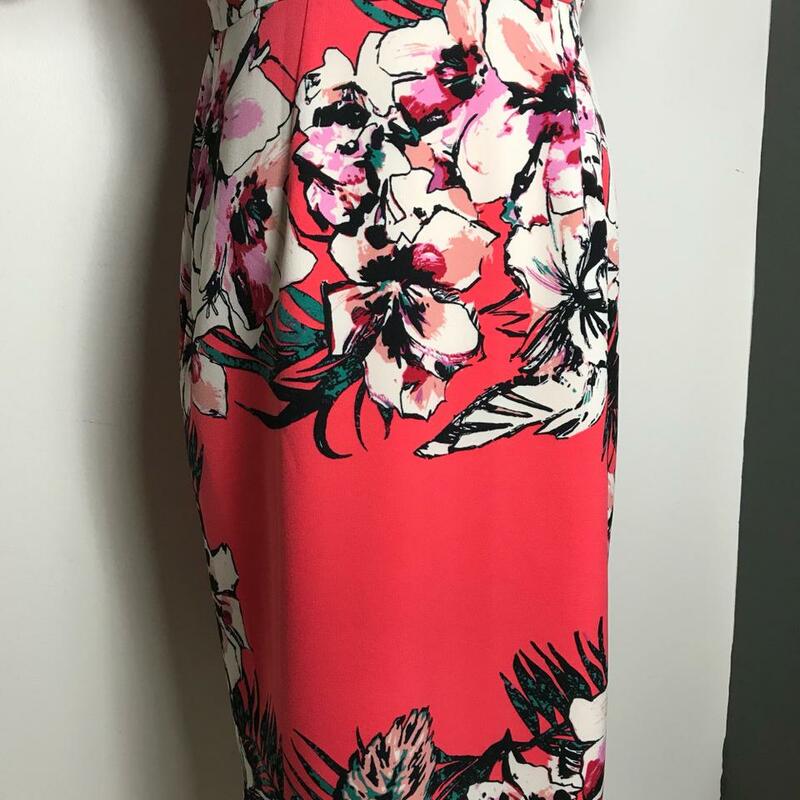 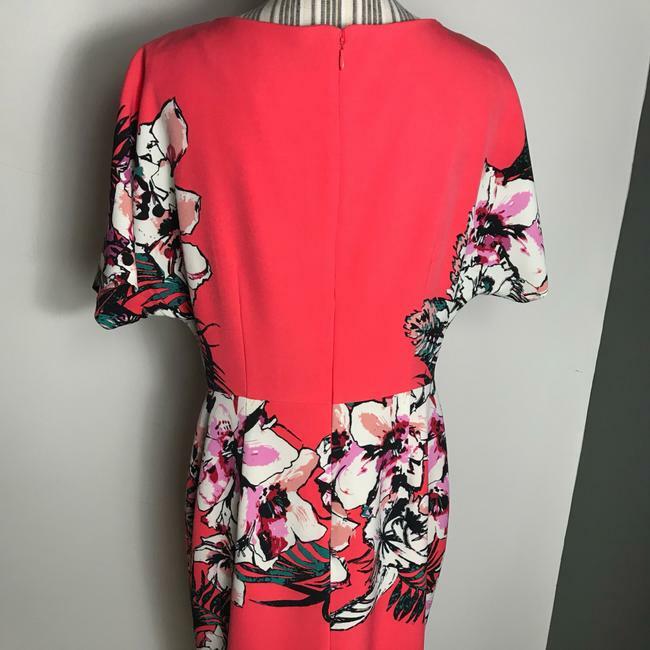 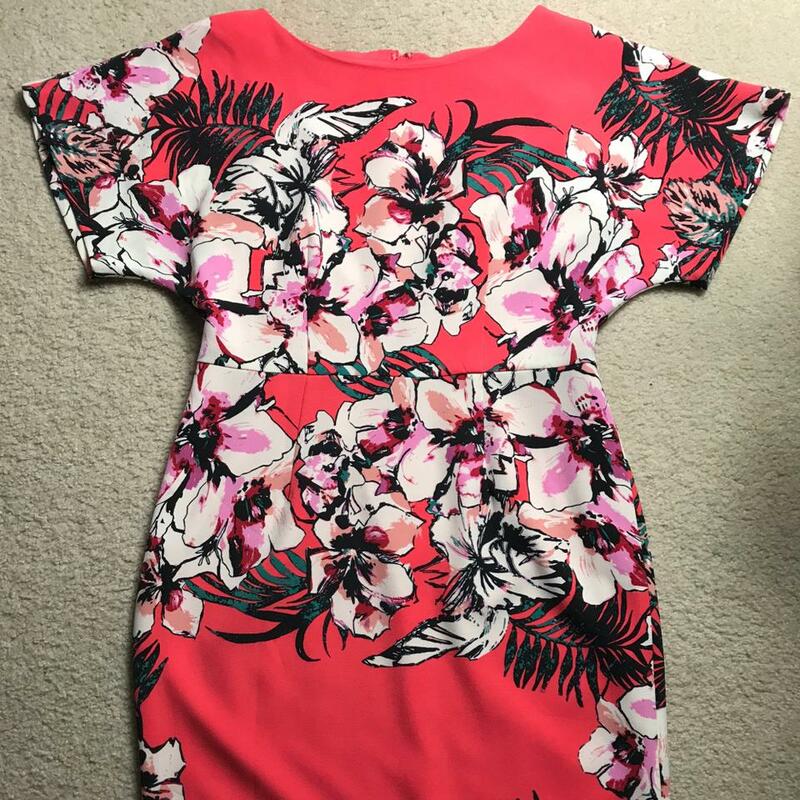 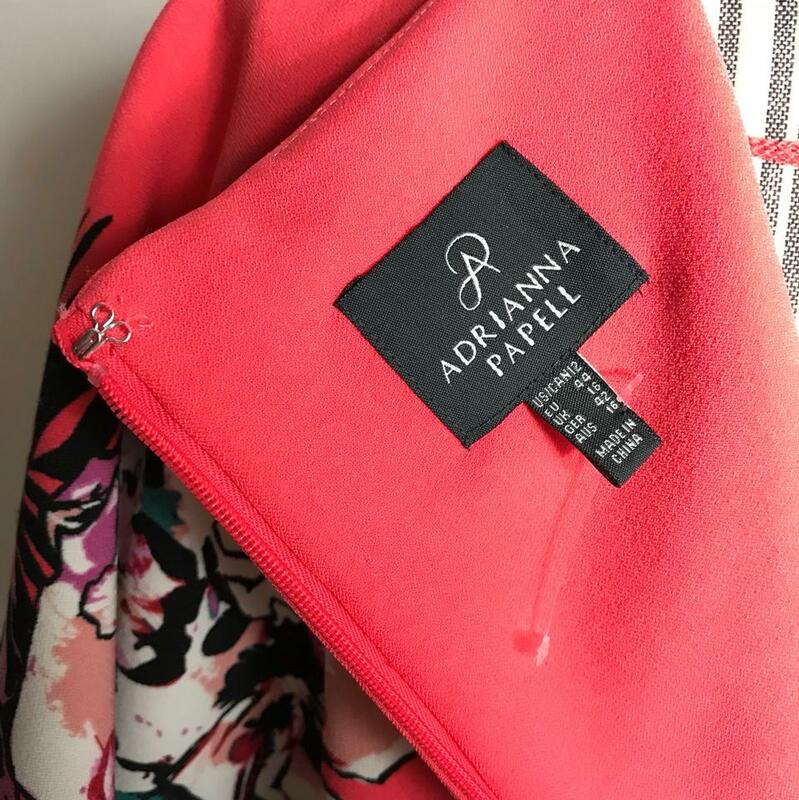 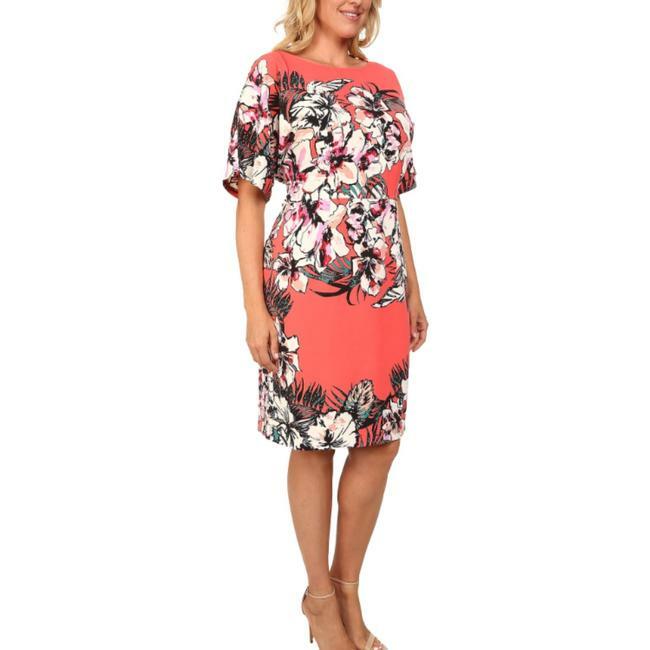 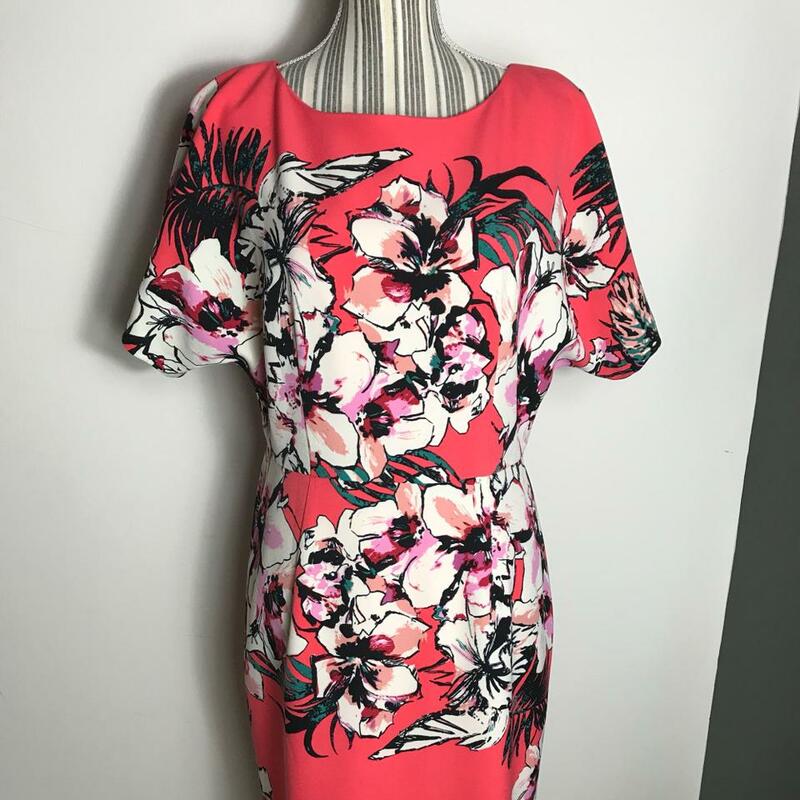 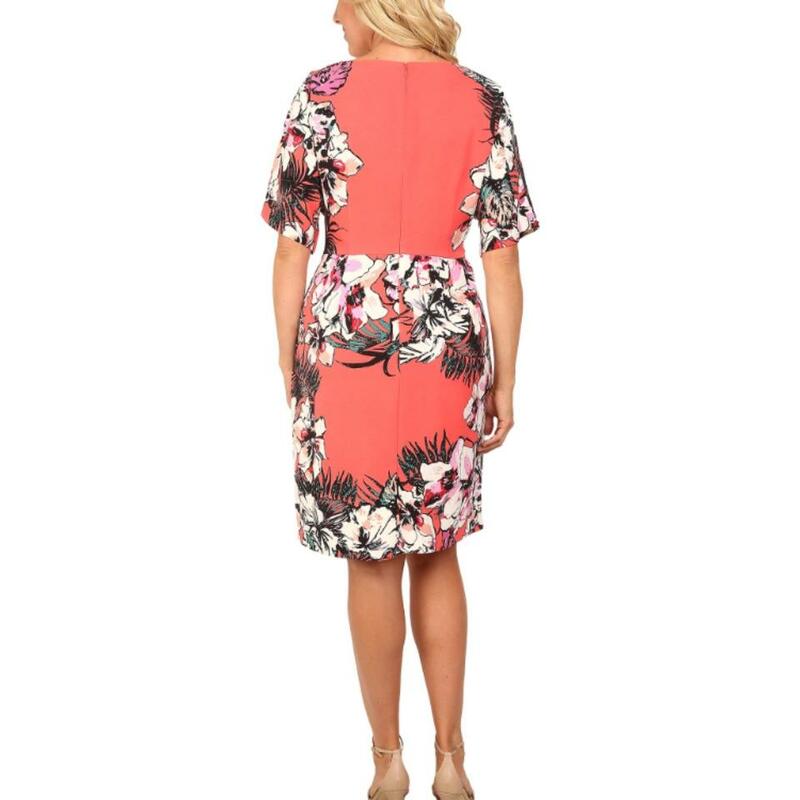 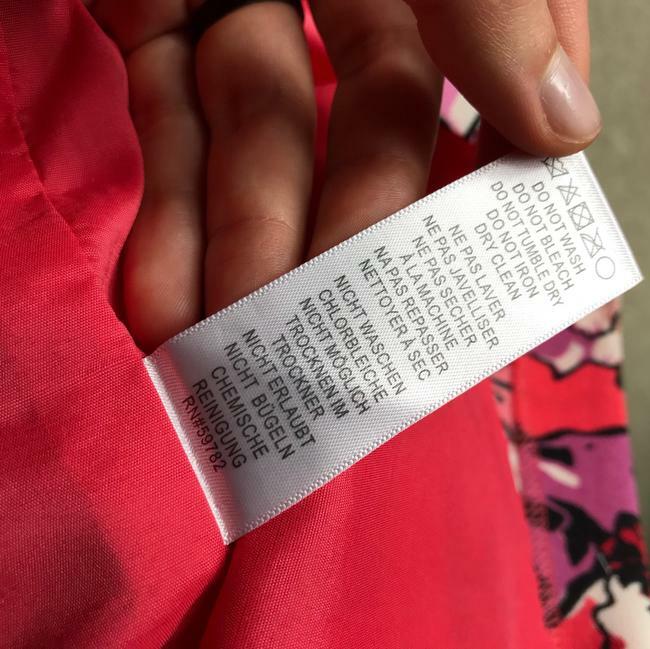 $189 Adrianna Papell Plus Size Coral Pink Tropical Floral Print Sheath Midi Dress. New without tags, immaculate condition, lined, beautiful print; a great dress for any casual or formal occasion! 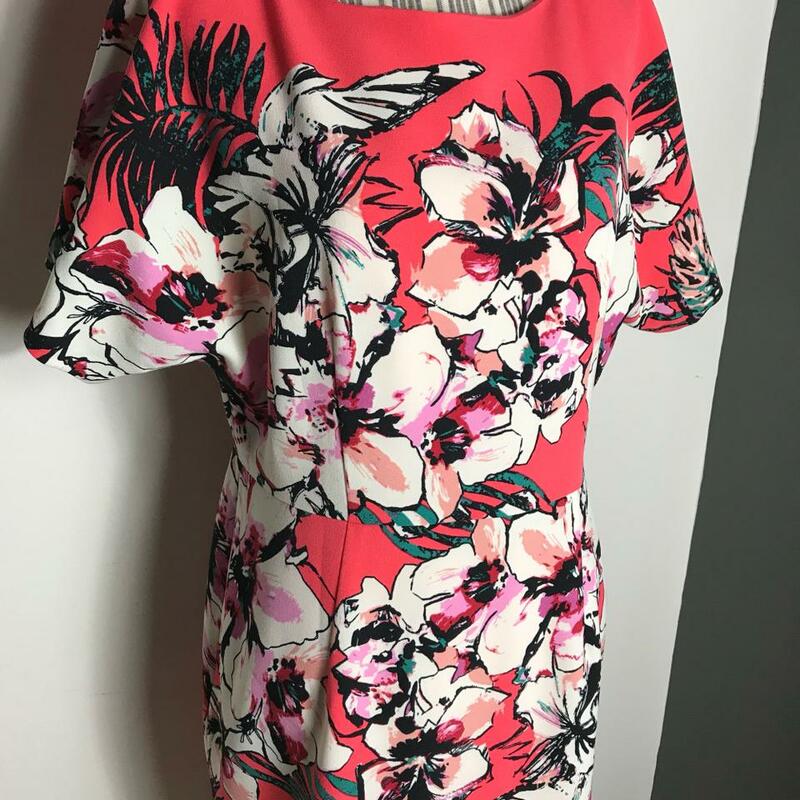 Measurements: 20” underarm to underarm, 17” waist, 22” hips, 41” total length.